Want it by Wednesday 24th April? Order within 4 days, 20 hours, 13 minutes and choose Next Working Day - Kerbside Delivery (Order Must be Placed by 2pm) at checkout. Newtown is one of the finest ranges in laminate flooring. 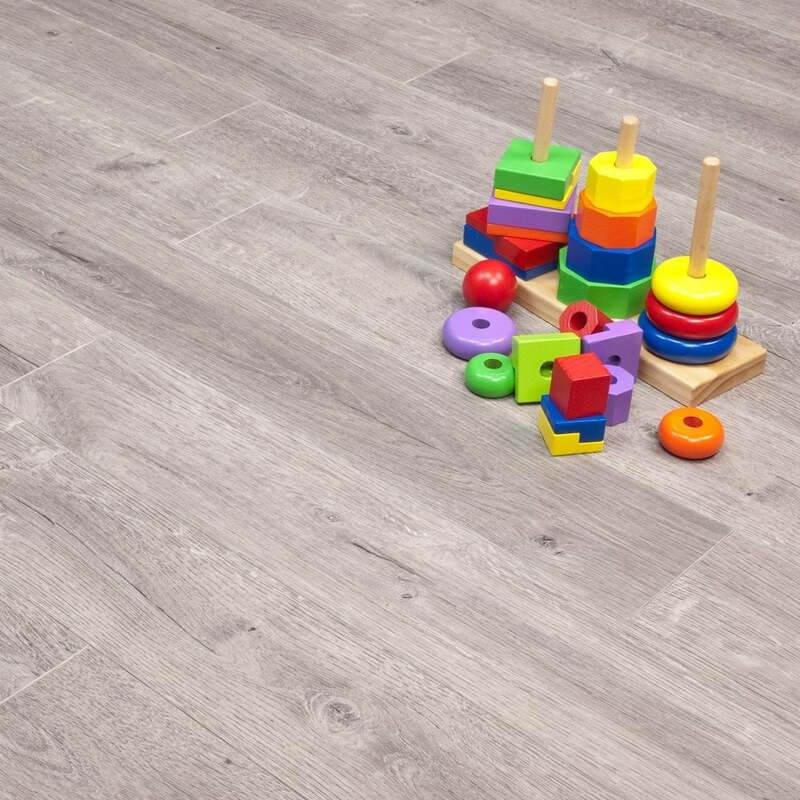 Our Grey Oak is a beautiful 4 sided V grooved product, with superb board definition, and a stunning variety in knots and grains, perfect for a laminate that'll be indistinguishable from a real wood floor, without the price tag! The light grey colour makes it perfect for a smaller room without much natural light, giving you a gorgeous floor perfect for a modern decor but one that'll look gorgeous in any home. My wife chose this for her study, It arrived exactly on time and the driver was very helpful. I had it laid two days later and she is very pleased with the results. So maximum brownie points for me. Everyone's a winner.